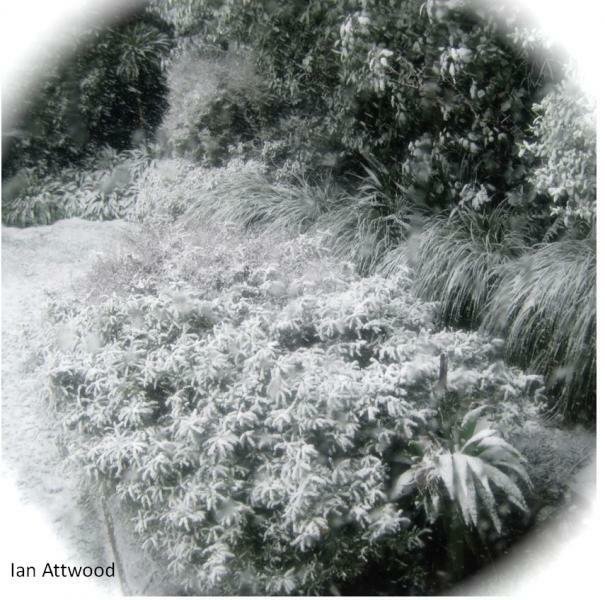 The photos in this blog were taken by MetService staff in August 2011. Photo taken by Ian in Karori, a western suburb of Welington. To mark Māori Language Week this year, this blog post brings together some practical weather words you can use every day, along with the story of Tāwhirimātea – god of the weather. Ko Tāwhirimātea te atua o te hau me ngā āwhā – Tāwhirimātea is the god of winds and storms. Written by Lisa Murray, Communication Meteorologist. Sitting out in the middle of the ocean, New Zealand is vulnerable to weather extremes from all directions, from the remains of tropical systems barreling in from the north, to cold winter southerlies bringing a blanket of snow. Sometimes in MetService forecasts, you will see a forecast for “fresh northerlies”. But what exactly does the word ‘fresh’ mean? For many people, the word ‘fresh’ carries connotations of cool or clean air (eg the phrase ‘fresh air’). However, the word ‘fresh’ also has a more technical definition, that comes from the Beaufort Scale, which I will describe in this blog. As a cold front swept up the North Island on Sunday 24 April 2016 it was like a blanket had lifted leaving blue skies behind. In the classic cold-front scenario, showers usually follow the main rain band. But because the flow was west to southwest behind the front, the South Island was sheltering the North Island from the showers, resulting in clear skies behing the front in this case. 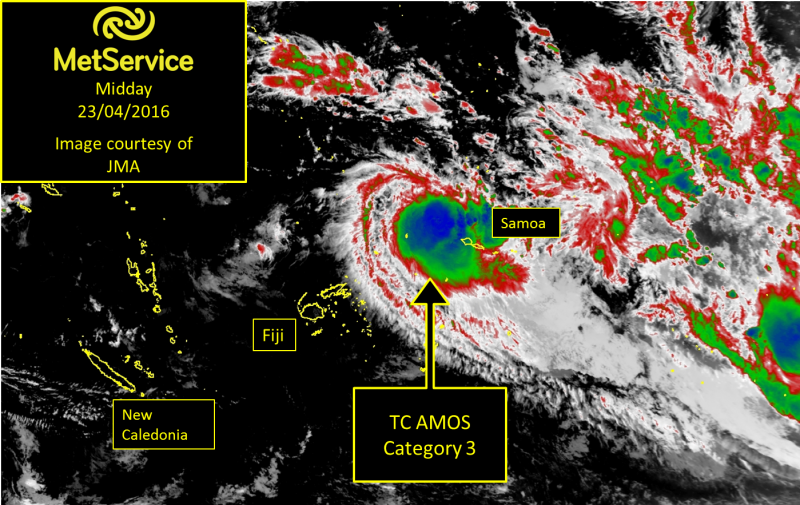 TC Amos was located about 95km north-northeast of Wallis Island, or 450km northwest of Apia, Samoa, at 6am 23 April 2016. At that time the central pressure was 965hPa and the sustained winds close to the centre were 148km/h; a category three tropical cyclone. 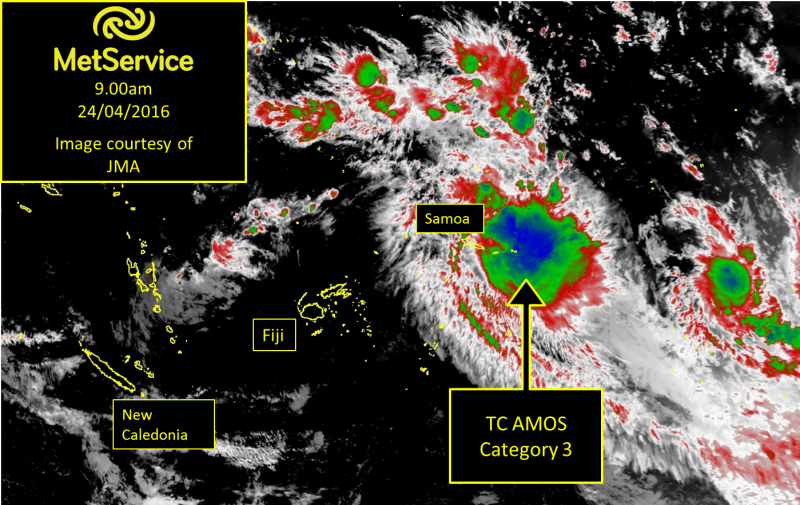 By Tom Adams, MetService Meteorologist.